Have your kids gone back to school? Are you sad, relieved or a little of both? My grandkids are all back in school and loving it so far. Mid-week sleepovers at my house have come to an end, but I do get to spend time with them after school and on weekends. And I love having a chance to help schools in need. 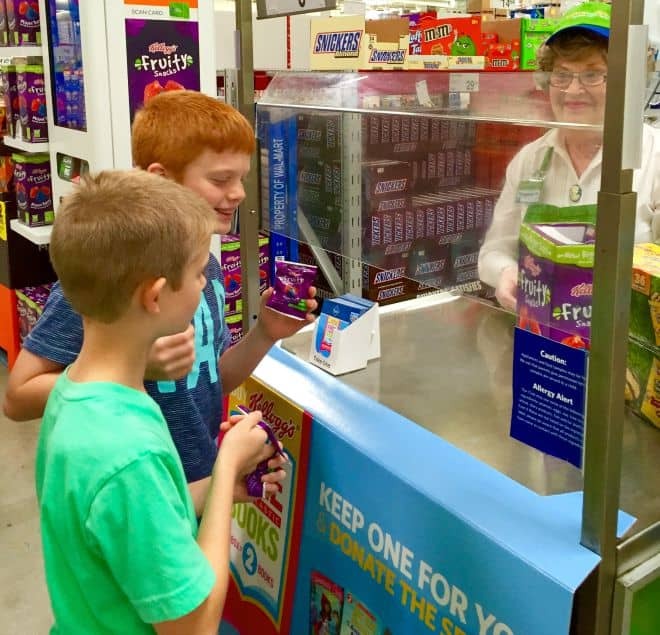 This past weekend, two of my grandsons went to Sam’s Club with me to stock up on after-school snacks and quick breakfast options. It’s so much easier to buy snacks they really like when the kids are with me. We were in luck because there was a Kellogg’s product demo in full swing, so naturally, the boys headed in that direction. Thanks to my mom and 1st-grade teacher, I think books are the best things ever invented and I’m so glad that the love of books has been passed on to my grandkids as well. I read to them every chance I get. The older grandsons read to me every chance they get. Go to Sam’s Club and buy any one of 13 specially marked Kellogg’s products. When you get home, login here and click enter code now. Click on GET STARTED to redeem without signing into Kellogg’s Family Rewards OR click LOGIN to redeem through your Kellogg’s Family Rewards account. Enter the address where you’d like your book to be mailed and the 16 digit code found inside your package. On the Thanks page, click redeem page to go to the book redemption page. Click on ORDER NOW to browse through the selection of over 80 books and click on the books you’d like to order and then click on Add To Cart. Review your order and click Continue to Checkout. Click the Point Deduction Authorization Statement and click Continue to Checkout. Review your Contact Info and click Place my Order. You’re done! Your books will arrive in the mail no later than 8 weeks. 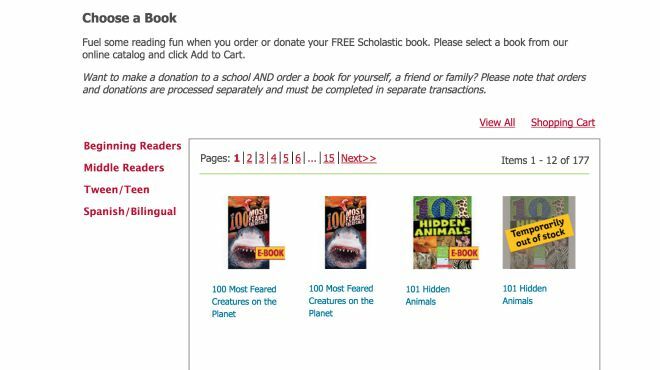 Helpful Hint: You can redeem up to 30 books and Spanish titles are available as well. E-books are included, too! My grandkids are anxiously awaiting their new books and are excited that we’re actually helping a school in need in our own community. When you redeem, you can keep one for yourself, and one is automatically donated to a school in need in your community! Not a Sam’s Club member? We’ve got you covered! Click the link below and print out your special invitation. Bring this invitation printed out to the Member Services Desk at your local Sam’s Club for a pass to shop for the day. A 10% service fee applies on all non-member purchases when shopping with this One-Day Pass (not applicable in CA, SC or Elmsford, NY). The 10% service fee does not apply if the non-member decides to join the Club at the time of purchase. 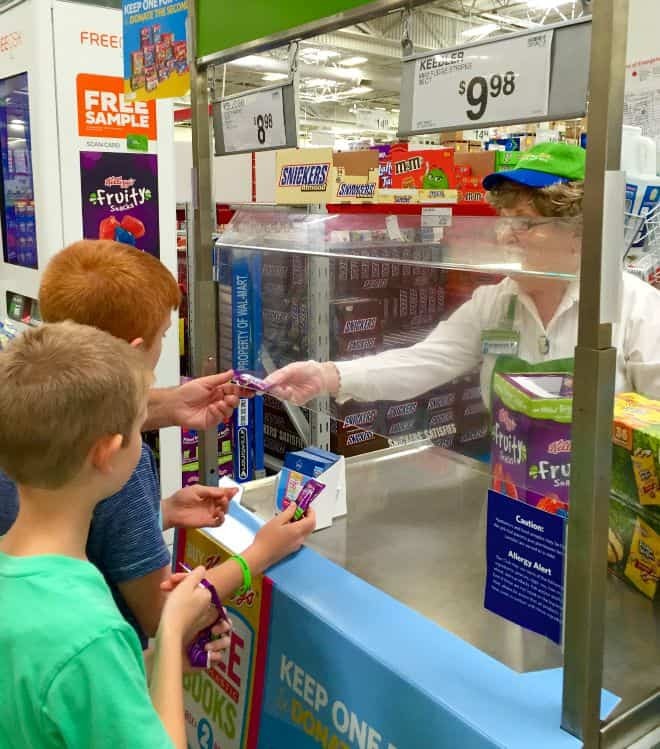 How will Sam’s Club and Kellogg’s help with your back-to-school routine? Every classroom can use some new books. How awesome is it that we an help our teachers like this. 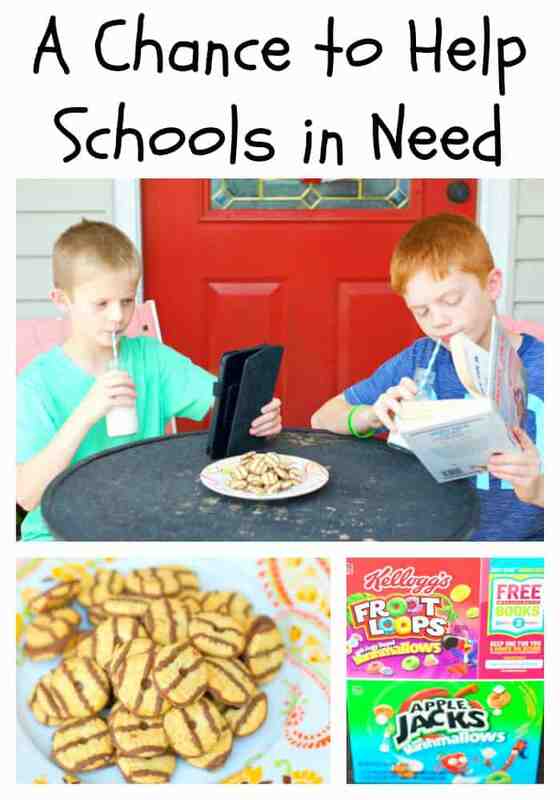 It is great how Sams Club and Kelloggs can help schools by donating. We as parents can help by purchasing Kelloggs products. I think that anything to do with books is awesome. I think kids should read a lot more than they do it gives them the tools to do so many things in life. Great program! I thought a new book was one of the best things as a kid and I still do! It’s a great day when one of my favorite authors comes out with something new. Love seeing kids get started early with good books like I did. This is a fantastic program! With all the cuts to school funding, we need this more than ever. What a great program that Kellogg’s is doing!! I love the idea of getting more books in the hands of our young ones!! That’s such a great program. 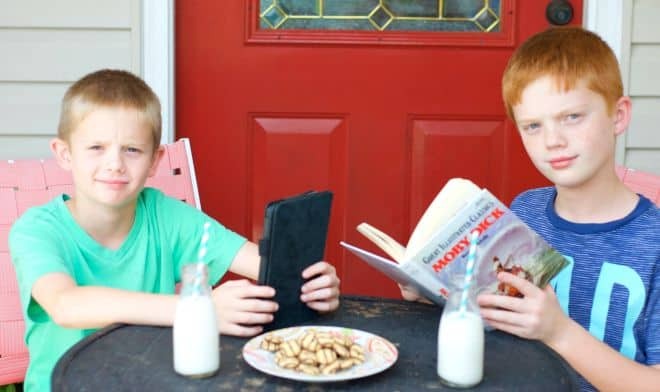 My kids eat a lot of cereal and it’s great that I can redeem codes for free books. Plus, my girls are always looking for more books to read. 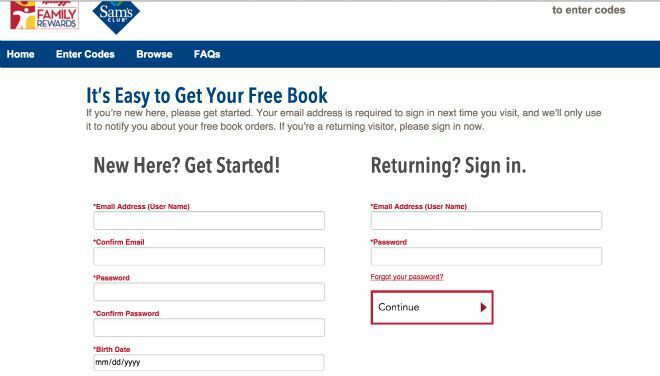 That’s so cool that you can get free books just by purchasing the products you already use. I was just at Sams over the weekend and saw this! Bought my Kellogg’s snacks and have sent in my form too. Love that Sams is doing this very worthy project! Paula recently posted…Stylin’ & Profilin’ Saturday–Back to School Edition! What a great program! I love when large companies help school communities!! Way to go!! What a great way to collect more books for your kids. It’s cool that you can choose which books you would like. This is such a great reward program!! I love anything that will get kids to read! Amazing! 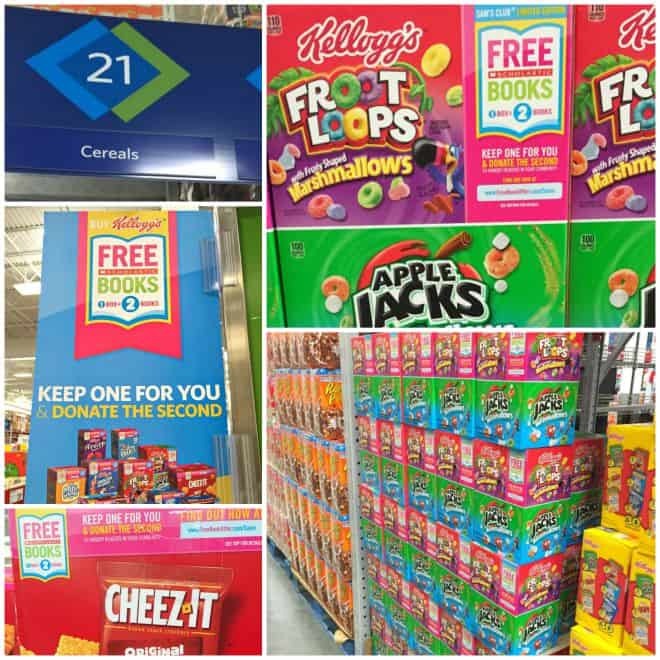 I love how Sam’s Club and Kelloggs collaborated to organize this great program. I love that we’ll be raising kids with healthy bodies and healthy minds! Thanks for sharing. This sounds like a great program. I like that E books are included. great program. I support education! This is an easy way to support schools in need. This sounds like an amazing program! Reading is so so essential for everyone, but you sure build the “reader’s” habit early on! What a great way to help schools by something you already have to do. I wish more companies would offer programs like these. I have collected few books from scholastic program as well and my kids love reading them. I think that every cereal company should do this. What a really great program! 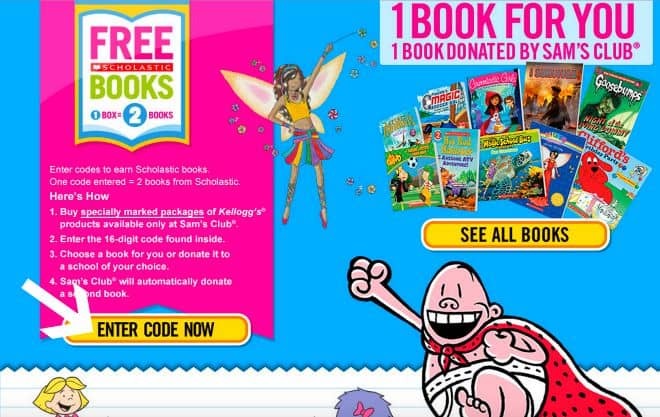 We love shopping at Sams Club and we definitely love free books and helping schools in need! Wow! That is a great program for schools! Sam’s Club is really stepping up to the plate and doing their part in communities. This isn’t the first program I’ve seen them initiate. I’m very impressed. I need to look into getting a membership! I love companies who give back! I love Sam’s and I love Kellogg’s. I’m always happy to hear when big companies are helping the schools. That is so cool that Kellog’s was set up there. We used to go to Sam’s club all the time but now we have to travel a lot to get there. It has been awhile since I’ve been to Sam’s Club, but I love that they’re doing this. It is such a wonderful way to help schools out! This sounds like a great way to help out schools this year! I love that they’re doing this! Every child should be given a chance to succeed! Schools can’t do it all by themselves. If we don’t find a way to engage parents then we are not gonna get it done. It is well documented and pure common sense that parents involved in child’s education boosts student learning and Improves well behavior and student attendance.